With the heightened publicity of information security failures, businesses are becoming less tolerant with the lack of rigor background checking companies are putting towards their information security. As this tolerance drops, MeSH stands out as an exemplary vendor. Social Security Number Only Used As Needed: Our clients have told us their old background screening vendor asked for a "subject profile" up front when placing an order so that they could use the individual's social security number as the unique identifier to track an individual. That approach introduces significant risk and privacy issues as the SSN is then shared well beyond where it is needed. In contrast, MeSH uses its own unique identifier and so you will notice we only ask for social security number when needed to fulfill a search. You might also notice that we don't ask for Drivers License number as that also should only be asked for if needed to fulfill a search. For more information on the importance of limiting the use of social security number, please see the Social Security Administration. 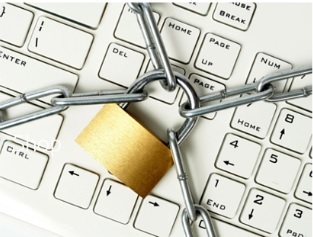 MeSH Employee Data Access Restrictions: MeSH restricts the access our employees have to your information. This powerful technology design means that when we provide access to our employee to fulfill a service, the data in front of them is restricted to just that needed for that particular service. So for example, if one of our employees is calling someone for a Professional Reference, this employee would not see the person's SSN, DoB or driver's license number even though this data might be in our system. Account Access Controls: MeSH provides our users with the ability to change their password online. In addition, this password is not accessible by any MeSH employee as it is encrypted without even our technology staff having cabability to unencrypt it (although we can reset it for you). In addition, through the "Manage Users" section of our website, if you are an authorized representative, you can see, add, and control who has access to your account. Information Retention and Destruction: MeSH shreds any hardcopies of confidential information and does not keep hardcopy files of such information. The electronic results of the background checks are kept for seven years; except for data to which other laws or agreements apply. Uses of Information: MeSH will not resell or share with a third party other than necessary to fulfill your request. Enforcement: MeSH has a licensed private detective with over 25 years in law enforcement on staff. If we detect any breaches that could affect your account, we will notify you immediately of the breech and the steps we are taking to address the issue. If you have any concerns, or become aware of any potential security breaches, we request you contact us immediately at: 888-988-MeSH or Security@Go2MeSH.com.